Kristian Rees has added some pace to his front third signing Jarrad Pfefferkorn to his squad for the 2019 National Premier Leagues competition. The athletic speedster joins the growing list of players from Gold Coast Premier League clubs given their chance to step up at this level. 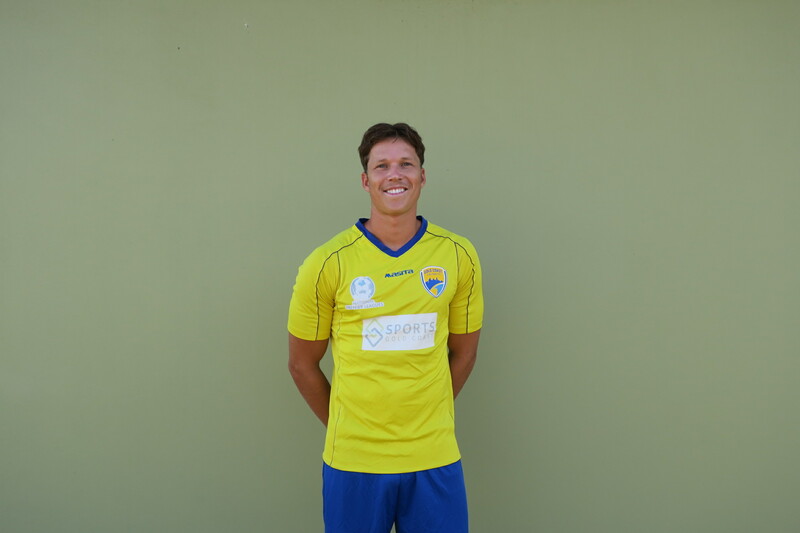 Originally from Coffs Harbour, Jarran has called the Gold Coast home since making the move north for study reasons but now finds himself also focusing on his football. The 25 year old physiotherapy graduate is somewhat of a journeyman locally. Encouraged to trial with United by Burleigh’s coach Colin Phelan, Jarran has impressed United’s coach Kristian Rees with his willingness to learn. “He was playing reserve grade for Burleigh last season before Phelo brought him into the first team. Pfefferkorn is enjoying the challenge of testing his ability and contributing to the squads performance the best way he knows, by attacking. Surrounded by some experienced players, the winger is thriving on the standards being set and knows that if he works hard his time to contribute will come. “The United skill set’s obviously a lot higher than what I’ve ever played with before. I find myself learning rapidly. Jarran made his ‘official’ United debut in Round 2 of the Inter City Cup on Saturday night after impressing in several earlier trials. Next up the Men play Rochedale Rovers this Wednesday in the final round of the cup, a win against the hosts would secure a place in the final on Sunday the 27th of January.